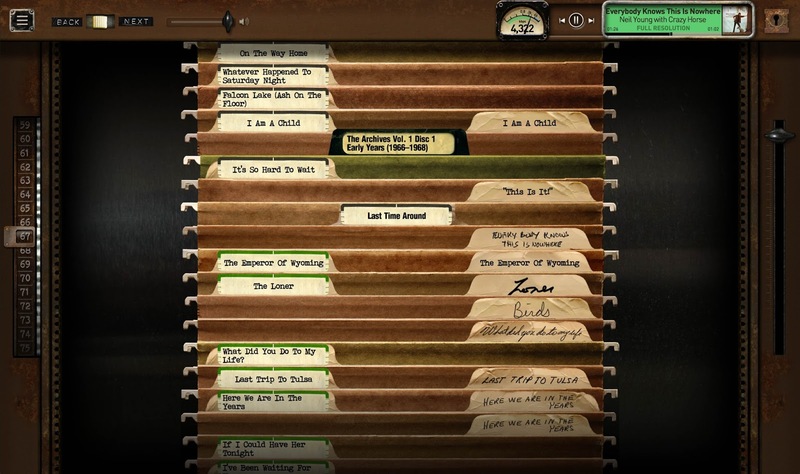 Neil Young News: UPDATED - Neil Young's Online Archives: What Have We Found Thus Far? 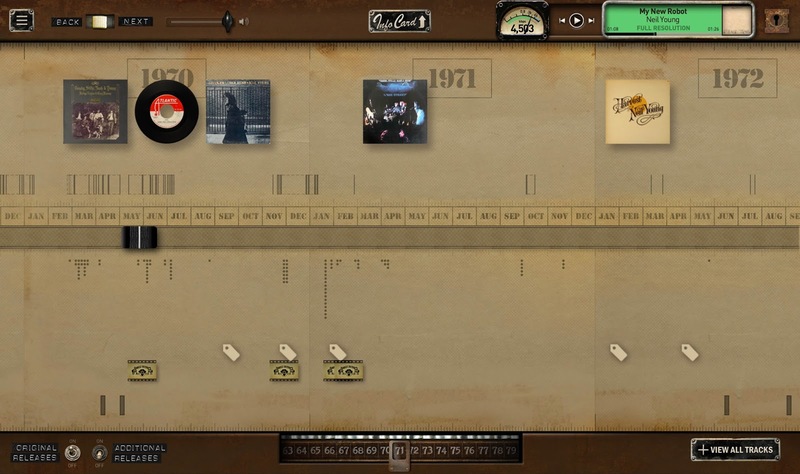 UPDATED - Neil Young's Online Archives: What Have We Found Thus Far? UPDATE: The image below has been confirmed as "fake news" and removed. All apologies. Details in comments below. With all of the big Neil Young news excitement recently, we have not had much of a chance to fully dig into Neil Young's Online Archives. As announced last month, the Online Archives will be initially be free -- Neil's gift to his fans: "In the beginning, everything is free." I've been an avid reader of Thrashers Wheat for some years now and thought I'd share something I've stumbled upon. I've been going thru some of the code in the amazing new archives and managed to dig up something I presume is the album cover for the Roxy Live album. I haven't been able to find any covers of the other unreleased albums which might be a hint that Roxy Live is next in line for release. Anyway, I thought I'd share the cover with you if you would want to post it. I think it's very cool and have no doubt readers of TW would enjoy it. Thanks Stan! very cool and thanks for sharing. Keep us posted on your other findings! UPDATE: Stan - You've got some explaining to do. Please respond to our emails and/or comment below. The image above has been confirmed as "fake news". All apologies. Details in comments below. So there are a few goodies that are previously unknown or harder to find. While we may not have any of the Geffen material, no I'm Goin' or Interstate, and previously unreleased material from beyond 1972 has yet to come, we did get a couple of items that caught my attention. Remember the hidden track on Archives Vol 1 with the alternate mix of I Believe In You? Well, it's here. But real surprise so far was the version of Birds from August 1969 with Crazy Horse. You remember... the first verse only version...? 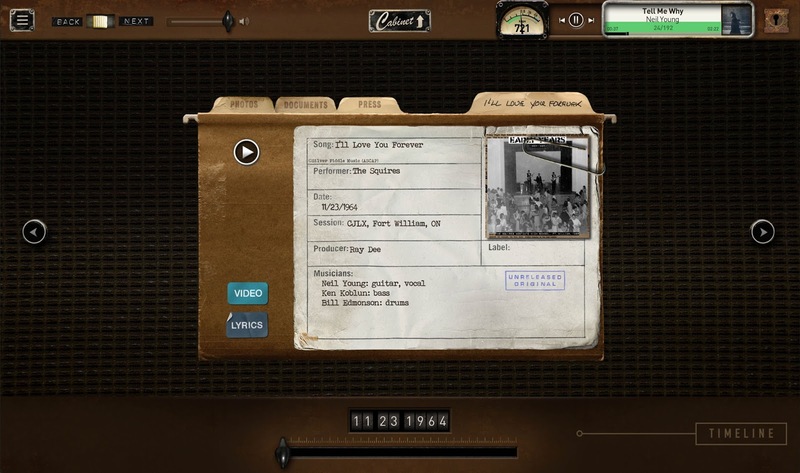 Well, the Neil Young Archive online has delivered the full recording with the 2nd verse intact. As Neil says in tutorial video: "Try not to get lost." The other cool thing about that "Birds" cut is that it's. STEREO MIX. Previous releases of the Crazy Horse "Birds" (including on Archives Vol 1) were always mono. It's been awhile. good to see you. Hope to see you back this way again someday soon. Am I going crazy or did the Crazy Horse version of Birds just disappear? the best , most unique thing I have heard on the new archives is --- on the way home --- neil young and the bluenotes --- its got HORNS !!! --- TONS OF HORNS !!! --- just like the original buffalo springfield cut --- sounds CORRECT !!! Yep, a lot of stuff is gone. I guess the Archives team monitors Thrasher's Wheat, huh? And . . . . it's all back up, including the CH Birds. That Neil, such a kidder! Things that were once free are selectively disappearing, and we are waiting to know what we will be made to pay for those things, probably in some sort of package deal. Sounds too familiar. Neil should write a song about net neutrality, I’m surprised I haven’t heard him voice his opinion on the issue. 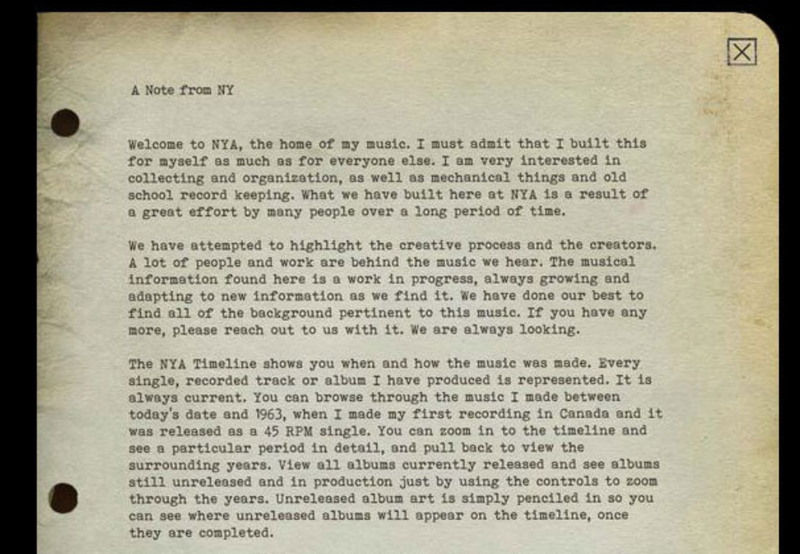 Seeing lots of speculation that Roxy cover art is a fake - it's a photo Neil posted on Instagram for his birthday two years ago (though not sure that necessarily rules it out as an album cover); the NYAPS logo says "Disc 02," which was the Fillmore release; and more tech-savvy folks than me say images aren't contained in code that way. But on a brighter note, "Birds" is back. I too think it is fake...It would be Volume 4 and I've looked everywhere I can and still haven't found it on the site. Stan - Looks like you have some explaining to do. Dear ALL, save me some time - I have Archives Blu-Ray - are there any new songs in full here? A simple question I guess? Good to see Birds back, I nearly cried when it was gone. Neil has us by the balls with this! 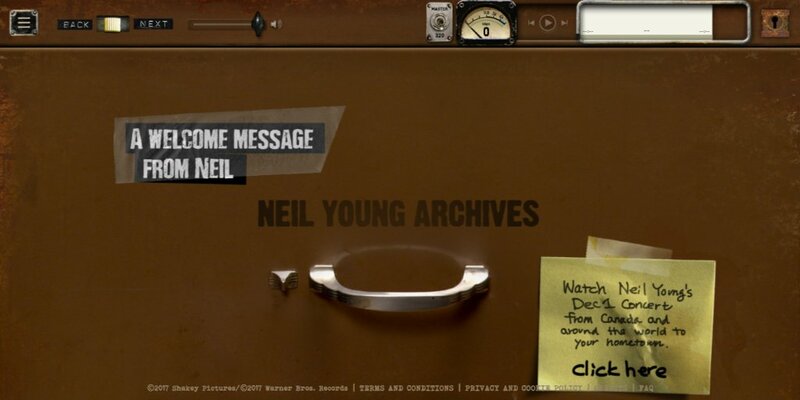 "Neil Young provides his entire online archive, never seen before! But no, it's not a shambles! Are you ready for the country?!!!!! Still no response from Stan on the sourcing of image above. As soon as we hear back from Stan, we'll be sure to share. If anyone out there knows a Stan who might have analyzed NYOA, please reach out to him for an explanation. We feel very badly here for providing false info on the NYOA and hope to have a resolution soon. Suggest that you just erase the Stan-stuff. He was obviously just f-ing with us. To be fair, the label could have just been a placeholder. I remember for the Bluenote Cafe art, the NYA logo was blue (it looked great too), but only on the Crime in the City single. Afterwards, when the actual album was released,all digital artwork and physics artwork used a white logo instead. Since the logo is to some degree custom designed (its not just default text in photoshop), it wouldn’t be out of line to guess that this was just an early mock-up. Maybe I’m just in denial, because I’ve always wanted to hear a properly recorded Tonight’s The Night show, complete with Neil’s strange Miami Beach monologues. This might just be an early draft, not the final product. As you know, everything is cheaper than it looks. @Genghis: Don't worry, the "Roxy Live" album is still on the way (at some point, anyway), there's a placeholder for it in the timeline. Those shows were a lot shorter than the British ones, though, so no extended monologues, just the random Miami Beach/palm tree references. Even before the false alarm, I wondered why the album in question is shown on Neil's "post-it" as "CRAZY HOSS ROXY LIVE". Surely they were the Santa Monica Flyers then? Thanks Wardo. Good point and this should never have made it past our content editors. Looks like TW will need to clean house once more. Lots of cheering here. "Every time I make a mistake, I cheer for myself on the inside." @wardo: They were billed as Crazy Horse in the advance press for the Roxy shows. The Flyers name wasn't used until the British tour.